Our names are Sigrid and Hemming Larsson. We live on a farm that has belonged to our family for more than a hundred years. We are both formally teachers with two adult daughters and two grand children. 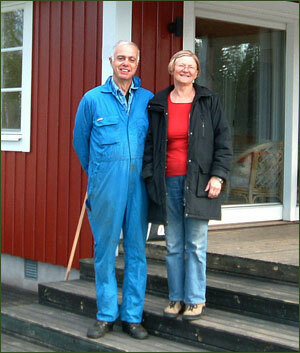 In 2002 we began to rent our cottages on a small scale. Our guests come from several different countries, mainly Germany. We enjoy having a chat with our guests and speak English, German and a little Finnish. The farm is mainly forest but we even have fields with 20–30 sheep and lamb that graze in the summer and keep the landscape open around our houses. The forest is an important income to us and it also provides a pleasurable leisure time with hunting and picking berries and mushrooms. It is also nice just to roam in the forest and we would gladly take you for a guided walk. We belong to a society, Det naturliga fisket (Natural fishing) that strives for high quality within the fishing tourism. We are also professional nature- and fishing guides. We look forward to meeting you here at Sinnern, in the wilderness of Småland. Högsby is situated where road 34 and 37 intersect. Three km south of Högsby, on road 34, a signpost ”Ekeby 1” is where you turn off. After approx. 300 m there is a crossroads, here you turn left. After approximately 200 meters you will arrive at a farm where the landlord will welcome you and guide you too your cottage. 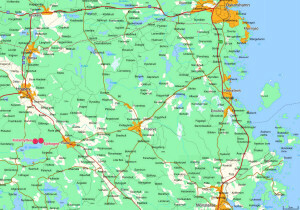 Map in jpg-format or pdf-format. The lakes of Sinnern are approximately 7 km from Högsby, a very old trading and administration centre. The services at Högsby will fill most of the visitors needs. There are 2 food stores, restaurants, pizza bars, a chemists, off license, post office and two banks. There are also petrol stations and workshops. 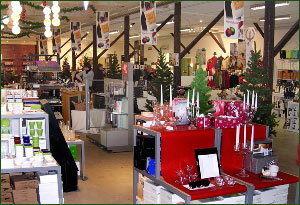 A small shopping centre with a design gallery (handicraft and presents articles) and a budget store. Högsby has a tourist information centre, travel centre and doctor and is easily avaiable by car, bus or train. 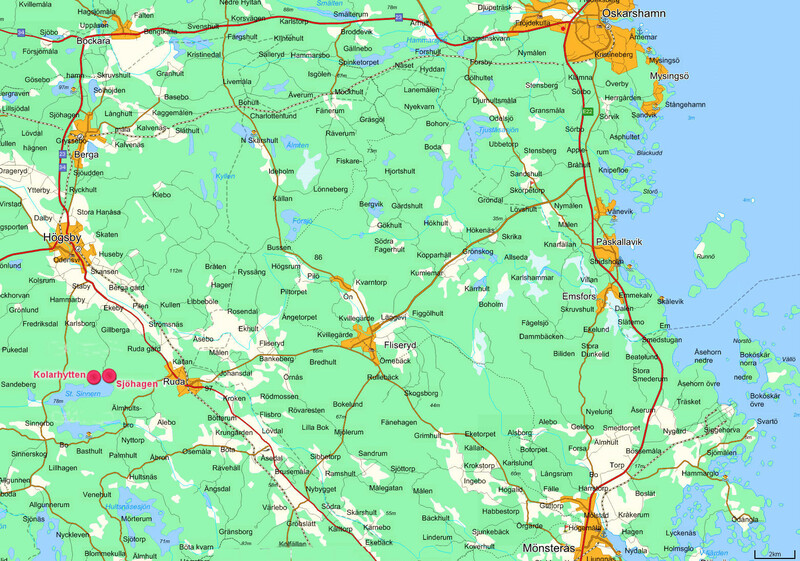 The nearest town is Oskarshamn, 35 km away towards the coast.